Compared with the two others climbing routes, Cemoro Sewu and Cemoro Kandang, Candi Cetho route will make record as the longest path to ascend Lawu. According to the site of Gunung Bagging, the calculated path length is around 16 km!. When compared with cemoro sewu that only has 8 km length and cemoro kandang which is about 12 km, this route is simply challenging. This is because we have to circle the ridge of Lawu from the northern flank, and keep heading up until the top. As the consequence, the travel time to arrive at the summit will be longer than the other routes. For very fit person, maybe it will need 10-12 hours to arrive at the last post. From there then add one and half hour if you want to arrive at the summit. Hahaha, by mentioning this fact, honestly I don’t have intention to discourage you from your very first attempt to try this route. However, it is very important for us, the outdoor enthusiast, to obtain as much as information about the destination which we will be visited. This information will be very useful because we can make better preparation and also manage the risks in the future. Indeed, compared to the other climbing routes, Candi Cetho route is the most physically challenging. It also tends to test the spirit and determination of the climbers. The track mostly only has small passage, probably only enough for one hiker to pass by. It also has very limited flat areas to rest and catch breath. The point is that we will more often be treated with merciless ascending path than with flat or declining path. So I suggest that you should be very prepared before trying this route. Another challenging obstacle which cannot be taken lightly is the weather and temperature. My hiker friends, who already went to Lawu before, told me some interesting facts. 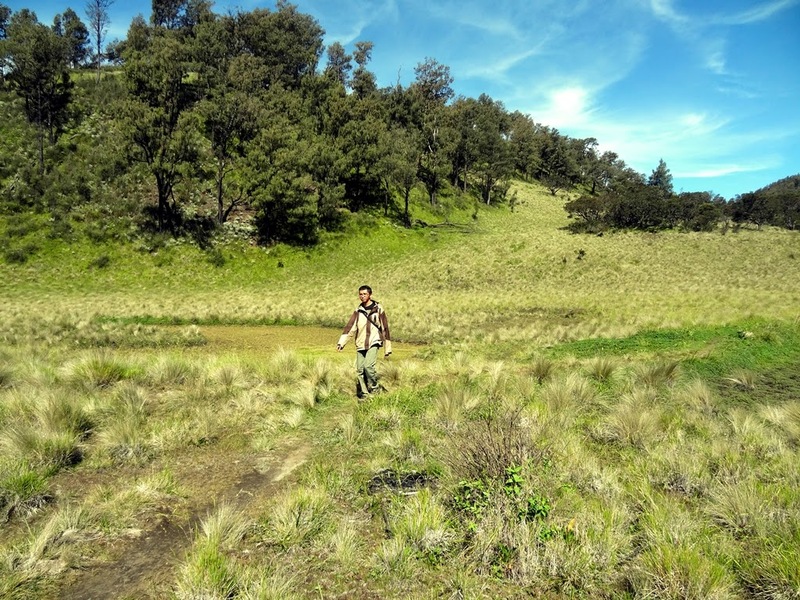 He said that maybe the temperature of Lawu is one of the coldest among other volcanic mountain in Central Java. Not to mention that the weather is likely very unpredictable. 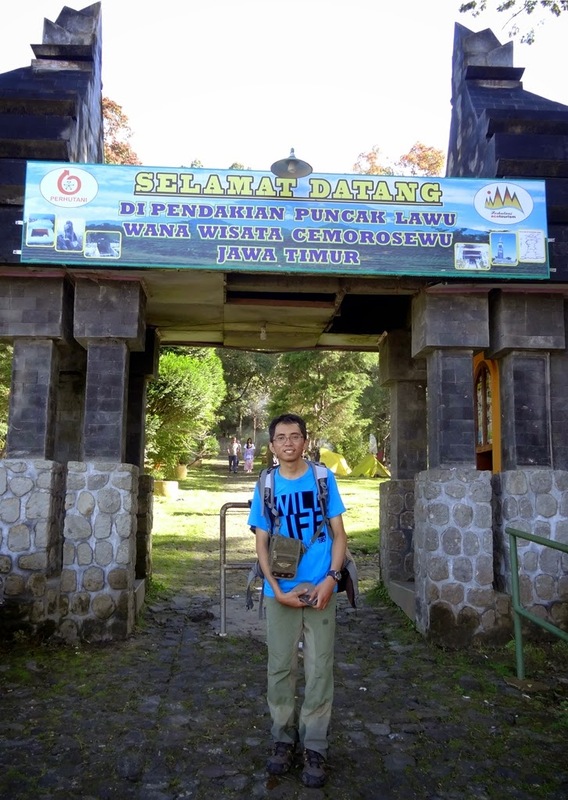 During my first trek to Candi Cetho in 2012, I arrived to the last post of Lawu in bright sunny weather. However, 2 hours later, the weather suddenly changed with heavy rain falling from the sky. In the open field, a chilling wind also blew me. Fortunately, we were able to arrive at our camp safely. Have you ever climb a mountain and then become somewhat very disappointed because you find the mountain has been tarnished with human’s ignorance. Some rocks and trees are maybe not in their natural condition. They are already full of hand graffiti and scratch from knife. Litter and trash scattered along the route and around the campsite. 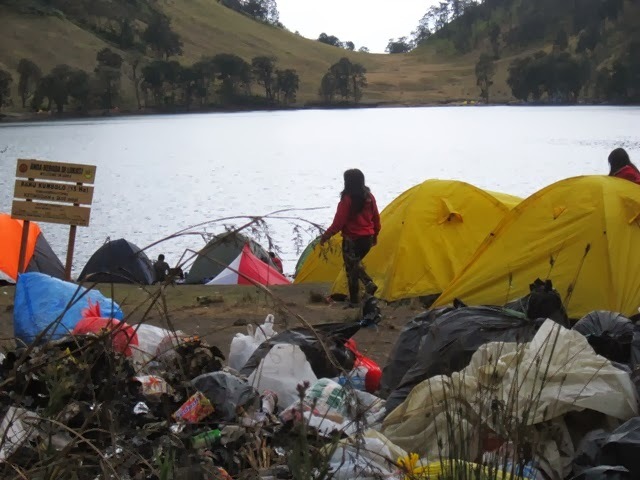 Many hikers in Indonesia are still unaware about the human impact on nature during outdoor activity. Some of them maybe still ignorance about hiking rules and etiquette, or maybe still learning to become responsible hiker. But the most irritating one is a person who profess him selves as nature lover (pecinta alam) but actually he do more harm and destructive activity to the nature, than new or amateur hiker. I see the mount as a peaceful place to escape from strenuous work routine far away from civilization, yet today many of them were not spared from the irresponsible act of some people. Fortunately these negative things are still contained in the cemoro sewu route. As far as I know, I did not found these harms during my trip to Lawu via Candi Cetho. From my observation, the Cetho route is the most naturally preserved. There are not many visible human litters along the route. The bush and plant is also still very thick and it tends to blur the route. Sometimes you will have to bow down and crawl to avoid branches hit your head. 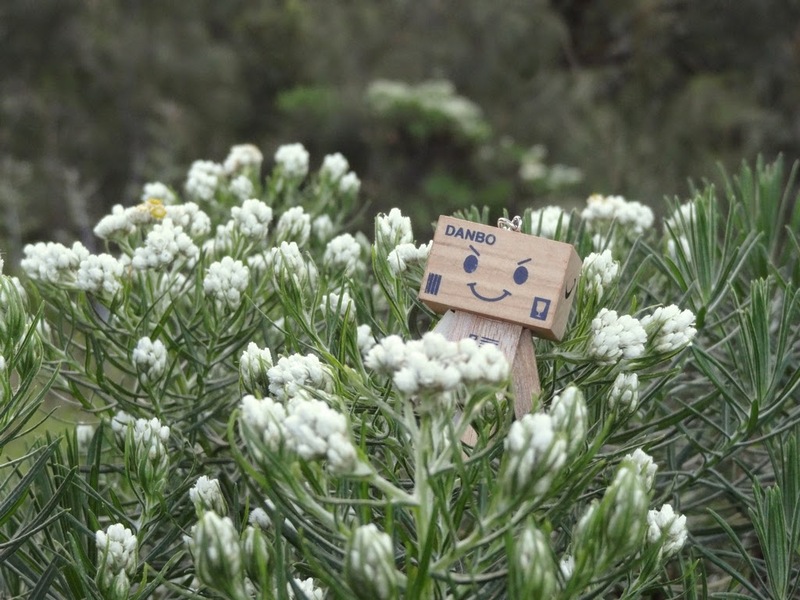 Perhaps because it is less popular and not many hiker know about it. Therefore, it is become our obligation to preserve the route and become responsible hiker when take the route. Starting from the basecamp, we will be greeted by the historical building built at the 15th century, which seems mystical yet very exotic, Cetho Temple. Before climbing the mountain, I suggest you pay visit and explore the temple. Slightly uphill we will meet with other ancient relics. The building which looks like steep temple is called Candi Reco Ketek (temple of monkey statue). The temple name comes from the monkey statue which found there before. Monkey symbolizes Hanuman, the white monkey, servant of King Rama. Keep going up and we start to feel the atmosphere of tropical green forest. The forest mostly composed from fir, pine trees, and bush. Unfortunately some parts of it were caught in fire few years ago. In the long way ahead you, more interesting objects are still awaiting. Up there, you will find more beautiful panorama, such as wide grassy plain, valley, little savannah, deer’s lake, and also the myth of ghost market. This point can be very subjective. But I must admit that climbing Lawu via Cetho Temple has left a long lasting impression on me. One thing that impressed me was the view along the route that is so complete and perfect. I remembered standing in the middle of wide grassy plain and gazing freely to the blue sky above, truly amazing. Ah it feels like being in the middle of nowhere. The silence atmosphere since I did not meet many hikers also added the experience. By the way, I suggest that the best place to have camp is at the last post, since it is well protected from the wind by the trees and bush around it. 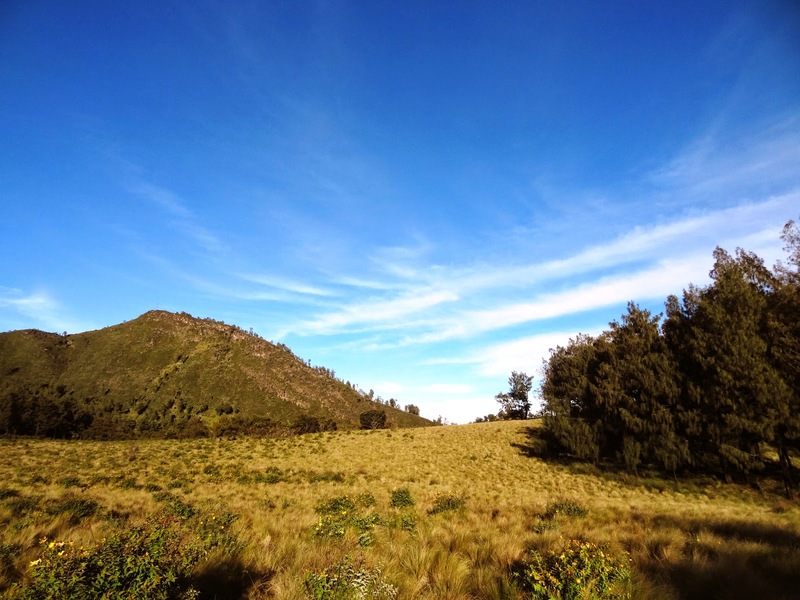 From this point you can climb the Lawu summit in one and half hour. And also don’t forget to taste the Indonesian salad with fried egg at the warung atop Lawu. Probably it is the highest warung on Java. The warung is managed by an old lady named Mbok Yem who has been staying there for at least 15 years. First thing first, it is important to be very prepared and being in excellent physical condition, equipped with proper outdoor gears and accompanied by experienced guide.